If you’re taking advantage of our boutique accommodations here at Hotel Zero Degrees Norwalk with some youngsters alongside you, we’d like to draw attention to one of the area’s foremost family attractions. The Stepping Stones Museum for Children (303 West Ave) in South Norwalk’s (SoNo) Mathews Park provides hands-on learning opportunities for toddlers, preschoolers, kindergarteners, and early-elementary-school-age kids. It’s well worth checking out with your own tykes the next time you call Hotel Zero Degrees Norwalk your Fairfield County home base! The wonderfully laid-out museum accomplishes that goal through a suite of immersive and interactive exhibits, including the design and construction zone of Build It!, the dazzling science taking center stage in the Energy Lab, and the relentlessly moving kinetic sculpture called ColorCoaster. The very youngest Stepping Stones visitors, meanwhile—infants and toddlers—have the safe and stimulating playground of Tot Town to explore. There’s also a steady stream of live performances, storytelling, games, and other special activities on the Stepping Stones Museum for Children events calendar: Take a gander! The Stepping Stones Museum for Children is open Tuesday through Sunday from 10 AM to 5 PM this time of year. In summertime, between Memorial Day and Labor Day, the schedule expands to seven days a week with the same hours of operation. The Stepping Stones Museum for Children has an equally outstanding family-attraction counterpart close by in South Norwalk: the Maritime Aquarium of Norwalk, which you can read more about in this previous blogpost of ours; it includes a dazzling IMAX theater alongside all the live-critter tanks and pools. 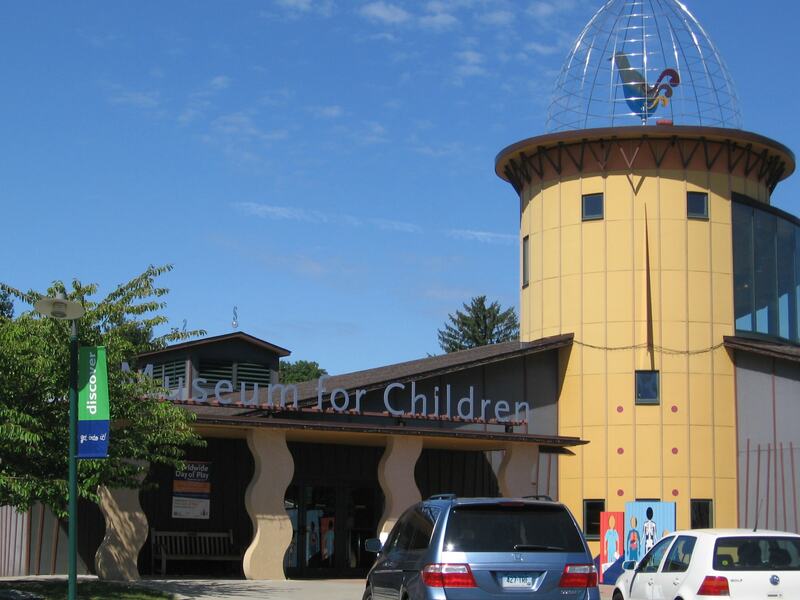 Stepping Stones is also but one of a nice variety of kid-friendly museums in Fairfield County, from Bridgeport’s Discovery Museum to Greenwich’s Bruce Museum. Learn more here! Take advantage of our boutique guest rooms and suites and our on-site amenities (including hotel dining by the river at Mediterraneo) for a family getaway in Norwalk and make the Stepping Stones Museum for Children in Mathews Park part of your day-tripping fun as Hotel Zero Degrees guests!